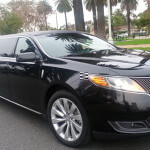 We provide limousine service in Los Angeles and limo rentals in Los Angeles. American Limousine Service is happy to be celebrating 42 years of helping Los Angeles meet and exceed their limo service needs. If you are looking for Los Angles limousine service please contact us today. 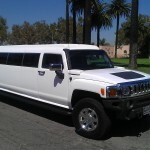 We have Hummer limousines, Party Buses, Escalades and more to meet your limo service needs in LA. Our limousine service rates are very affordable and we can offer you amazing limo service to meet any budget. 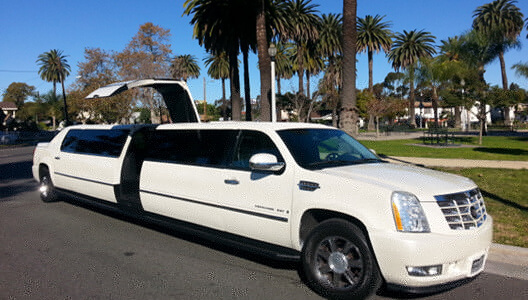 Please give us a call at 310-665-0024 and ask for our 10% off limousine service special. 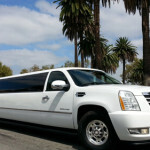 Also check out our DEALS page for ongoing promotions for limo service in LA. You can also easily get limo service by booking a limo online and get an instant quote. We look forward to serving you! The Best Limo Service in Los Angeles. Since 1972 American Limousine Service. While princesses in fairy tales traditionally arrive at their own nuptials in horse-drawn carriages, today’s brides prefer more practical transportation. Just as the white of a bride’s gown helps to set an appropriate tone for the ceremony, so do white stretch limousines contribute to an overall feeling of celebration and wonder. 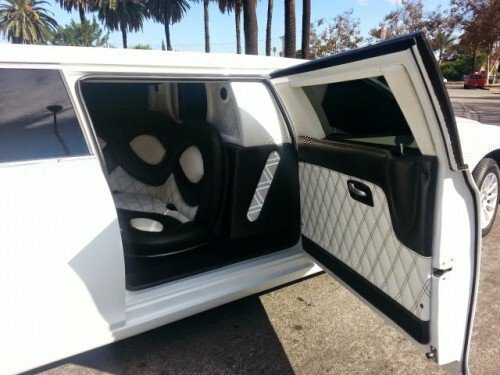 In fact, limo services for weddings in Los Angeles, today still provide more white stretch limos than any other single kind of transportation. This classic option is the safest of all, serving just as well to carry the bride elegantly to the altar as to ferry the celebrating newlyweds away thereafter. The consistent popularity of this choice means that wedding limousine services in the area put a lot of effort into appointing their coaches well. Couples can expect standard features like built-in bars and hors d’oevres stations, along with extra frills like seats with built-in massage features. Given what is to be found, few regret going this most traditional route. Even so, the fact is that many more couples today opt for different styles of transportation entirely. Over the course of the last decade, wedding limo services in Southern California have increasingly been supplementing their fleets with luxurious Hummers, Mercedes SUVs, and other large vehicles. While these are far less traditional than the classic white stretch limo, these options clearly appeal to an important segment of the market. Some Los Angeles luxury car rental agencies have gone even further, retrofitting some of the world’s most admired sports cars for this purpose. While the average Ferrari might not be up to comfortably seating a pair of newlyweds behind a chauffeur, some of the company’s more generous Grant Touring models, like the highly regarded 612 Scarlatti, are capable of moving them in style and comfort. In recent years the amount of limousine service rentals for special events has increased at a very speedy rate. This is due to the fact that limos are now commonplace service vehicles for any type of celebration and not hiring one may contribute to your participation in the event being rather insignificant. Unfortunately, despite the frequency of this activity, limo rental is still present with high rates. This does not mean you must give up on your dream of a chauffeured drive completely; you just need to alter the company you work with. American Limo Services Los Angeles is your goal here. You need a service to provide information for the considerations you make when hiring a cost-effective limousine. View our rates here. 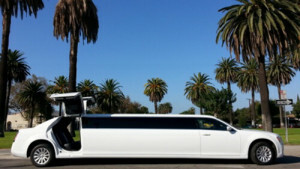 Many individuals find themselves paying high limo rates Los Angeles because of a lack of preparation. In order to locate the most cost-effective limo rental company in your geographical location, it is highly recommended that you plan ahead. This will allow you time to complete research on the different companies and decide which option is the best for your financial needs. One method that many people use to reduce the cost of a product or service is to share the cost. Limo rates Los Angeles can be expensive if you are paying the amount independently; however, by sharing the cost you will not need to pay as large an amount. By sharing the cost each individual will pay a smaller amount and the rental will be more affordable. 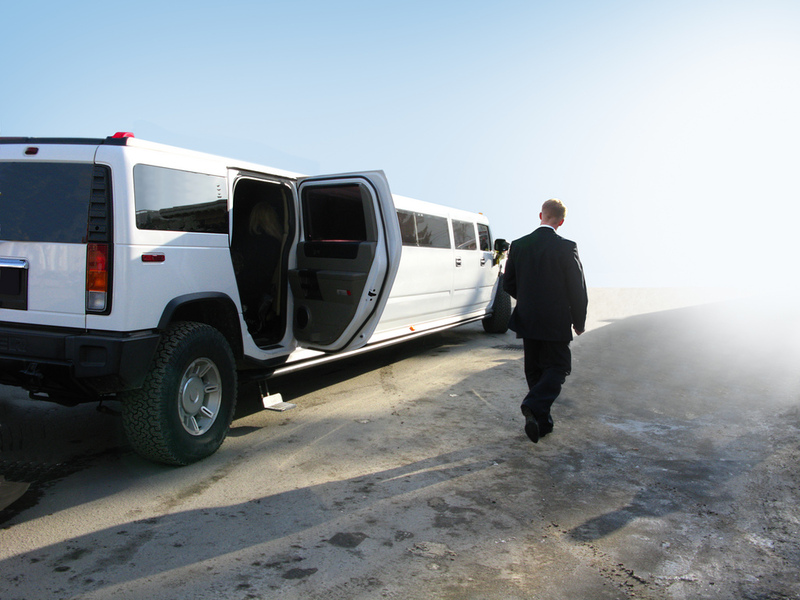 As is mentioned above, finding the most cost-effective limousine rental may require a large amount of preparation. While it is tempting to just hire any service, this is not always the best plan of action. In order to locate a service that will meet all your event needs it is vital that you take into consideration a contractors size and age. A company that has just started providing service will not be as knowledgeable as the company that has served the city for many years. Finding this information will require searching for rental companies from both online search engines and search directories. Once you have found these services, you must compare them against each other to find the most suitable options. Statistics have shown that many people end up paying exorbitant fees because they are determined to rent a specific vehicle. While it may be pleasant to hire a particular limousine, it is not recommended that you fixate on this model. This is due to the fact that more popular models will present you with higher limo rates in Los Angeles. It is best to be flexible when choosing the limousine as less popular models will be more cost-effective. 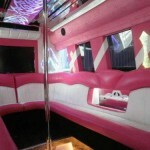 Los Angeles party bus rates are something you have to look into when you are ready to order for an event. If you’re trying to learn more about this, you’ve come to the right place. Take a moment to go over these tips for more information. The party buses that you can rent will vary in size. For a larger bus you can expect to pay more money to utilize it. That’s okay if you have a big party of people you want to take on the bus, but if not then you’ll want to save on getting a bus. American Limousine will tell you what the max amount of people will be per bus type that is offered. When that is something you learn about you can avoid getting one that’s too small or large and have the ability to get your money’s worth. When you’re trying to get a bus rented, you will need to be aware of the rules on it. This way, you don’t have people partying too hard and causing damage to the bus. When you’re getting a good rate, there’s no reason to make it higher because you have to pay for damage that may have happened to the bus. You’ll find it to be a lot easier to have a good time if your friends that you bring along are able to drink and have a good time without causing you too much trouble in the way of damaging the bus. Don’t be afraid to get help from our friendly staff. You only should work with those that have good party buses that you would like to ride in. Our drivers are courteous and professional not rude. Making it easy to have a good time. Don’t wait for the last minute for that service, contact us now so you can get the best deal. Reviews are a good thing to read if you want to know about the rates of the bus rental company or just to learn about drivers and customer service. When you’re looking into a review you need to know that it was recently posted so you’re not getting information that is fairly old. That’s because a company isn’t going to stay the same all of the time. Usually companies will change and it could be that they are much better than before which is what you can find out through well written and current overviews written by customers. 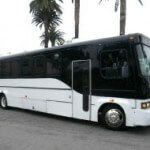 There are a lot of Los Angeles party bus rates depending on what you need. The key to getting what is needed is to do your research. But you have landed on a good website for getting a good Party Bus in Los Angeles. You can use it to your advantage and get things in motion for yourself. Many people think limo services are for weddings or proms. The truth is, limos can be a fantastic way to get to any event. With the right limo service, nearly any number of people can be taken from their hotel or airport to the event of their choosing. They’ll impress their friends and be able to relax while someone else does the driving. 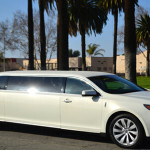 Below are a few of the times someone might want to rent a limo from a Limo Service Los Angeles. A Los Angeles limo service is perfect for someone…..
who is getting into town for an important meeting. Whether the person is the boss and needs to look great coming and going or there are many employees that are arriving together, arriving via a limousine is going to be a great way to make use of a car service los angeles. It’s also great for those who don’t know their way around town since they won’t have to worry about driving themselves. Little kids love watching limos drive by. 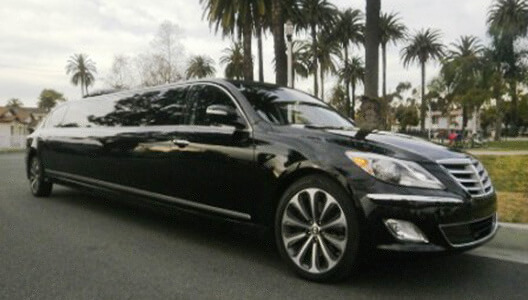 A limo service Los Angeles airport can pick them up on their vacation and take them to their hotel. Imagine the look on the kids faces when they get to ride in a huge limo for the very first time. They’re going to start off the vacation with a fun activity and it’s going to be something they’ll remember and talk about for many years. People of all ages are going to love renting a limousine for their birthday. They’ll be able to enjoy a night on the town and not have to worry about getting to where they want to go or needing to park and find their car later. For those who can legally drink, having a limo means they’re going to have a designated driver all night so they don’t have to worry about having a few drinks. Sometimes, it’s more important to spend time together…..
instead of focusing on driving to the restaurant and then home again. If a person wants to treat their significant other to a special night on the town, renting a limousine lets them spend the whole night together and gives them the chance to really relax and have a great night. 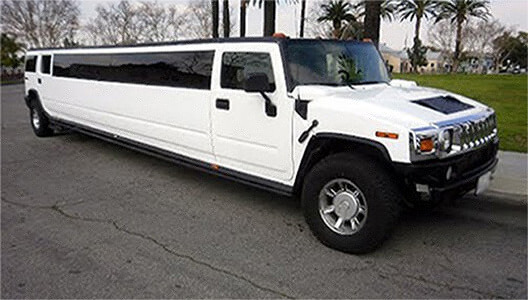 The limo rates Los Angeles, for a smaller limo, are low enough that they can still have a dinner at a restaurant and enjoy a night on the town afterward in a six passenger car service los angeles. Wine tours are growing in popularity…..
but it’s difficult to find one that’s going to meet everyone’s needs. If the group wants a private tour of local vineyards, they can rent a limo to take them to each of the vineyards they want to see. They won’t have to worry about carpooling or making sure everyone knows how to get there since the limos can fit up to 24 people. The driver will know how to get to each location so the entire group can relax. Renting an event party bus makes every little thing much easier. It’s also headache-free. So the next time you need to transport a huge team, or party goers, in and around Los Angeles give us a call. Comfort in the Lincoln MKZ is lavish. With natural leather sitting areas. Finding the right limo services Los Angeles for you is simple. So give us a call now for limo services Los Angeles. Our new Lincoln’s are sure to turn heads. Sixty years of spectacular engineering, innovations and also numerous honors, have made the Chrysler 300 an automobile icon. Now making it a Limousine is even more special. Enjoy American Limo Services Los Angeles Today! Q: When Should I Book A Limo For My Prom? A: The sooner the better. When you book your reservation in advance, you guarantee that your prom limo you want is available. In addition to that, the rate for booking your reservation further in advance is much cheaper than “waiting until the last minute”, or even one week prior to your service request date. Q: Why Take A Limo? 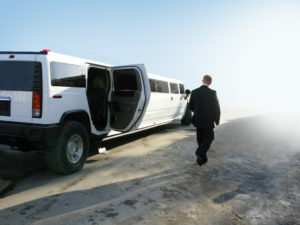 A: There are numerous different reasons as to why you should rent a limo versus driving your self. When you rent a limo you don’t have to worry about driving or being stuck in traffic. You can just “Sit back, relax, take it easy, and enjoy the ride”. Renting a limo is great when you are going out with a group of friends, this way you can converse on your way to your event instead of worrying about paying attention to the road. Also if you are attending an event where you will be drinking, its much safer to have your limo waiting outside, instead of drinking and driving, or relying on a friend to be your designated driver. Q: How To Tip A Limo Driver? A: The standard tip for limo drivers is 20% of your bill. Limo drivers are just like servers at restaurants. They too earn the majority of their living off of the tips that they receive. Limo drivers really strive to provide excellent service to their customers in the hopes that their passengers will see this and be appreciative when the driver goes above & beyond. Q: How Much Are Limo Prices? 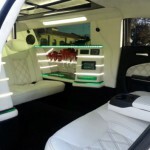 A: We carry ALL different types, makes & models, and different seating capacity’s of limos. Our rates fluctuate deepening on the exact date, the time you will need to be picked up, the amount of passengers you have in total, and the type of limo you want. The easiest & fastest way to get a quote is to give our office a call. Q: Where Is American limousine? A: Our company is based in Los Angeles, California. However we service all of Southern California. Give us a call to ensure that we service the area you are looking for. Q: Which Is The Best Limo To Rent? A: All of our limos are great! Its really a matter of personal preference and choice. It also depends on how many passengers you have, and how comfortable you would like to be in the limo. Give us a call and we will walk you through the whole thing, and give you different options for what you are looking for. Q: Who Rides In The Limo For A Wedding? A: This is a matter of preference. Some wedding parties want the limo for just the bride and the groom. Other parties want a limo for the entire bridal party. Some parties want to rent limos to transport all their guests as well. Give us a call and we can give you different vehicle options for the service you are looking for. 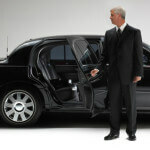 Q: What Is Limo Service? A: Limo service is a luxury car service that provides limos for groups of passengers, or even if you have only 1 passenger.